Dump the diapers (or just use a lot less) while keeping your baby clean, dry, and diaper-rash free. Build a strong connection with your baby – you pick up on when baby needs to eat… and you can pick up on when baby needs to go! 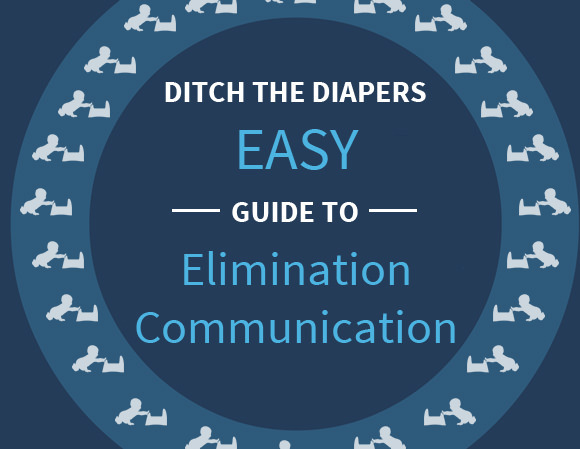 Plus I tell you exactly what to do if you think your baby doesn’t cue. Respect your baby’s dignity – and intelligence. Human babies know they’re not supposed to go in their clothes. You can even use these tips part-time… and you won’t have to “untrain” when it’s time to potty train! Practical, proven tips from real moms with real lives – EC has worked for me, and it can work for you, too! "I've used these same practical strategies with my EC babies! Download them and use them to connect with your little one... they work!"